Why choose canola pickups from Phillbourne Manufacturing ? One of the major reasons is that their Rollerdown package has been developed to provide an excellent result to farmers wanting to harvest canola with modern high capacity harvesters. Phillbourne’s product range changes with the times and they always keep an open mind regarding new developments. 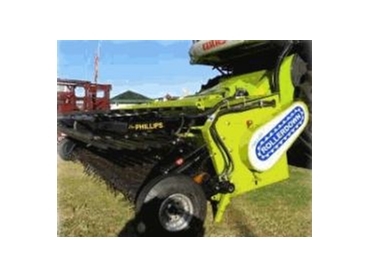 In addition, their Canola pickups only use materials and components that can be purchased and serviced within Australia. Their clients can rest assured that every part of their machines are of a very high quality. Phillbourne aims to develop and manufacture reliable and innovative canola pickups that help farmers complete their cropping programs with minimum downtime and problems. They are located at Merredin in the heart of the Western Australian Wheat belt. Phillbourne can service the local market and also utilise the east-west transport route to service the eastern states.